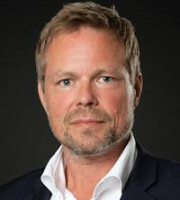 Steinar Lie has extensive experience in litigating cases before the higher and lower courts, across all areas of intellectual property. He also handles trademark portfolios for small local businesses and large international enterprises alike. Mr Lie has a background in literary science and languages and graduated from the University of Oslo in 2002, specialising in patent, trademark and copyright law. He has worked in intellectual property since 2003. Mr Lie started his legal career at the Norwegian Industrial Property Office as examiner and then became legal adviser. From 2007 to 2008 he served as seconded national expert on trademark law at the EU Intellectual Property Office in Alicante, Spain. He then started working at Bryn Aarflot, where he passed the bar exam in 2010 and became partner in 2014. He joined Zacco in December 2016. Mr Lie is a member of the Norwegian Bar Association and the International Trademark Association.